4,000 - That is the height, in feet, of some of the tallest peaks at Maine&apos;s fantastic ski resorts. Maine is well known for lighthouses and lobsters, but as you move up in elevation you&apos;ll find that Maine is also popular for its uncrowded lifts, long expansive trails, and spectacular scenery. 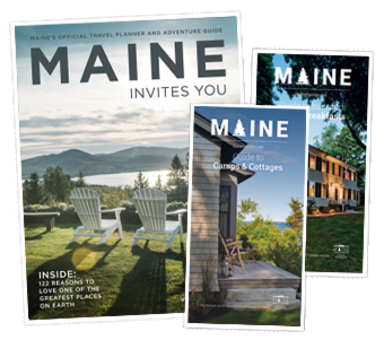 With some of the best skiing on the East Coast, thousands of acres of terrain that get feet of powdery snow, quintessential Northeast ski towns you&apos;ll find it all at Maine&apos;s Ski Resorts. Rising 4,249 feet to its breathtaking summit - the second highest peak in Maine - Sugarloaf has the longest continuous vertical descent of any resort in New England, and is the largest ski area east of the Rockies. Totaling 1,053 acres of boundary-to-boundary snowfields and glades, and offering cozy accommodations, you&apos;ll find everything you need at "The Loaf". While not as tall as Sugarloaf, Sunday River has eight interconnected mountain peaks spanning 820 acres and offering 138 trails. Often the first to open for the season, Sunday River is home to some of the best powder, and has on-mountain lodging from condos to hotels, and extensive lesson programs. Enjoy restaurants, nightlife, and family fun in slope-side villages, and at Sunday River, ride the "Chondola" for scenic views of the river valley and Mahoosuc Mountain Range. In Rangeley, you&apos;ll find Saddleback, a rustic ski area with updated lifts and new glade terrain. With the highest base elevation of any ski mountain in New England, you&apos;ll find tons of natural snow, low lift prices, and a 4,120 foot summit. Offering classic ski trails with views of the Rangeley Lakes region, Saddleback has awesome slopeside condos and a beautiful post and beam base lodge, making it a quintessential Maine destination. These are must-see, must-ski places, and they are waiting for you!